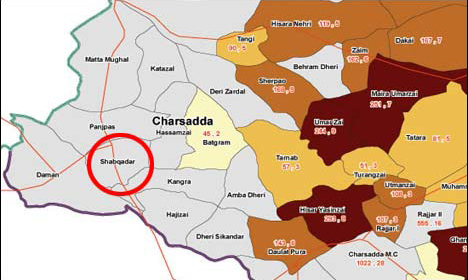 CHARSADDA (92 News) – Six people were injured in a suicide blast in a mosque in Shabqadar on Friday. The police claimed that the blast was carried out by the prayer leader. Meanwhile, unknown people fired rockets on the house of former senator Abdur Razzaq.